Home » LSP Spotlight » Is the Voting Rights Act Worth Saving? The Voting Rights Act itself hangs in the balance on the Texas redistricting decision. Plaintiffs opposing Texas Republicans must have the legal resources to make the strongest argument possible before the Supreme Court and before Courts with jurisdiction to save the Voting Rights Act. 45 years ago, displaying the courage of a true Texan, President Lyndon B. Johnson signed the historic Voting Rights Act into law. His actions signaled the end of a generation of government sanctioned discrimination and ensured that minority citizens would have legal protection to register, vote, and an opportunity to elect a candidate of their choice. Today, however, two Republican Texans – Rick Perry and Gregg Abbott – are working to turn back the clock. They want to destroy the Voting Rights Act and return to a day when governments sanctioned racial discrimination. That’s the real issue at stake in the Texas redistricting battle. When Greg Abbott asked the Supreme Court to block the use of the court-ordered redistricting plans in Texas, he was stepping up as the leader of the darkest most divisive forces in our society who want to erase the US Voting Rights Act. If allowed, Greg Abbott, Rick Perry and the current Texas leadership will tear down every barrier in place that might stop them from destroying the voting strength of Latino and African American citizens, not just in Texas, but everywhere across our nation. What will Abbott and his allies argue? What will Plaintiffs supported by the Lone Star Project argue? Greg Abbott is already using your money to kill the Voting Rights Act. He is spending taxpayer funds on an outside legal counsel charging over $500 dollars an hour to convince the US Supreme Court to overturn the Voting Rights Act. This is the very same attorney who will argue against President Obama’s healthcare reform plan before the Supreme Court next year. We have retained some of the best legal counsel in the country to fight back and make our arguments before the high court. We are committed to fighting to save the Voting Rights Act. 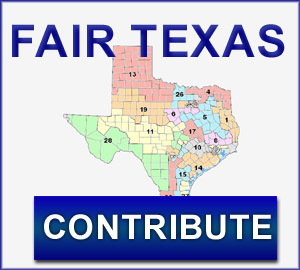 For the last six months, every dollar raised online by the Lone Star Project has been used to support the legal, administrative and technical costs of plaintiffs opposing Texas Republicans and fighting for a fair and legal redistricting plan. Please give $25, $50, $100 or any amount you can afford to stop the attack on the Voting Rights Act and protect fair districts for Texas.